﻿ Small Step Club - Help the Hungarian Puli land on the Moon! Support Puli by joining our Small Step Club! as a part of the Google Lunar XPRIZE competition. Your support will greatly contribute to our success in this demanding mission. Puli can take your name to the Moon! Every Small Step Club member's name will accompany our rover to the Moon. In return we ask that you support Puli with at least $20 USD - or the amount of two hours worth of your income - to push Puli little by little towards the Moon. Don't miss the chance to have your name on the Moon! Join our club to support Puli’s mission! Rockets are the most costly part of the mission. Our best bet is to share a ride to the Moon with other teams. Puli's deposit requires $120,000 to secure a spot. But not only that fancy rocket ride needs money. Your Small Step Club Membership helps us to maintain regular operations. To pay office rent, accounting services, consumables etc. is also needed to reach the Moon! Wanna join the ride? Support Team Puli here: Support Puli with your club membership! 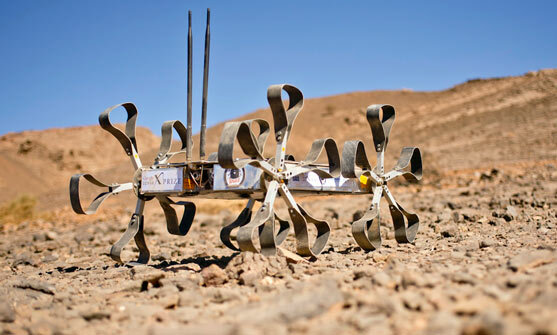 The space-grade I3 'proto-flight' rover is currently under development after successfully testing the I2.x rovers in the Moroccan desert and Mauna Kea volcano of Hawaii. Early next year, we plan to finish and test our I3 rover. Support Puli with your club membership! Make Hungary the first European country to reach the Moon! Puli hopes to become an influential participant in the expanding private space industry, building on experience from the GLXP challenge. Our goal is to explore new directions in technology and manufacturing processes, particularly in the field of space and lunar exploration. There’s no doubt this would significantly contribute the economy over the coming decades. To demonstrate our potential, first we must complete the Google Lunar XPRIZE. This involves a short exploration of the lunar surface and transmission of high definition images and video back to Earth. by joining the Small Step Club! Join us now and we will take your name to the Moon. "Small contributions add up quickly. It's up to you to make a difference." Team Puli consists of 30+ active members, mostly young professionals, covering a broad spectrum of fields: engineers, physicists, geographers, IT, as well as marketing, PR, and law representatives. Volunteers have invested over 40,000 hours of work since the start of the project. The team is led by founder Tibor Pacher, PhD., physicist, who has participated as a manager and advisor for numerous international projects. Do You like it? Come and join us! on the way to the Moon! Or make a difference with Your regular monthly support and subscribe!